Compelling historical read with some violence and some romantic content. Tad, a small slave boy on a South Carolina island, is destined for a unique and impressive future. As Union solders approach, the island is abandoned by the white masters, but the slaves stay. The community of freedmen is selected for a government experiment to determine if freed slaves can learn and become contributing members of society. Tad's initiative and smarts soon catch the attention of Edward Pierce, leader of the experiment. As the war progresses, both Tad and Pierce are in for many adventures. Can Pierce's connections and Tad's firsthand experience of the brutality of slavery earn the freedmen a chance for a fresh start and a brighter future? Right and wrong are portrayed as such in this book. Due to the injustice of the time, people sometimes get away with wrong and people who have not done wrong are sometimes punished anyway. However, these circumstances are clearly portrayed as unjust. Tad, the main character, struggles with some Biblical passages (example: the meek shall inherit the earth), but defends scriptural principles when talking to Pierce, who is Unitarian. Tad is whipped and beaten up. Pierce receives a beating. Tad falls and the process of setting his broken arm is described. When Tad becomes a soldier he participates in a battle and is wounded. An amputation and pile of amputated limbs is briefly mentioned. Nothing is gratuitous. The violence described is a necessary aspect of writing about war. Alcohol is consumed on at least one occasion. Several kisses. Passing reference to Tad's notice of Peg's maturing body and, later on, mention of his desire for Peg during their wedding. A few references to men cursing, but the actual curses are not written. In one scene soldiers leer and make rude (but not profane or overly vulgar) comments about Tad's friend, Peg. The Civil War is one of my favorite time periods to research, and I have done so extensively. Mr. Leavell managed to find an aspect of this time period that I had never heard of. That was enough to hook me! The story is well written. Tad and Pierce are believable, compelling, and sympathetic characters. 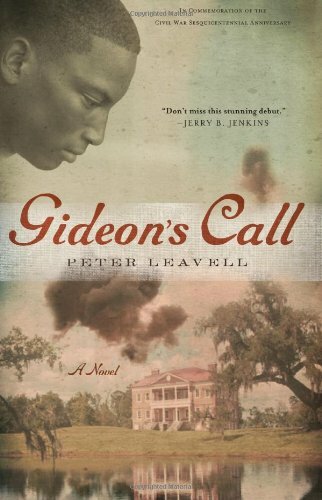 Overall, "Gideon's Call" was a good read with a lot of historical value. This review is brought to you by LLizzieG.